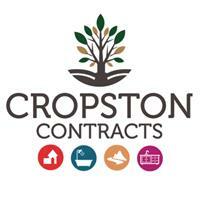 Cropston Contracts Ltd - Bathrooms, Builder, Kitchens based in Mountsorrel, Leicestershire. Cropston Contracts provides an all-round residential development and alteration service in Leicestershire. Our full time team of over 20 trades people offer full building services, bathroom and kitchen installations including tiling. We are a family run business that takes pride in providing excellent customer service and are a member of the National Federation of Builders. With extensive public and employer liability, we are able to provide an all-round service from dealing with building control, architects, structural engineers, supply of all materials and a wealth of experience and excellent attention to detail. We have a full time team that understands the importance of not only high quality workmanship, but reliablity, honesty and trustworthyness as we work in your homes. Our full time trades people have been with us for many years, we do not take more work on than our team can handle, therefore we do not rely on often unreliable subcontractors.